Hyundai Merchant Marine has extended the contract of president CK Yoo (pictured) by three years, following a vote by shareholders and institutional investors. 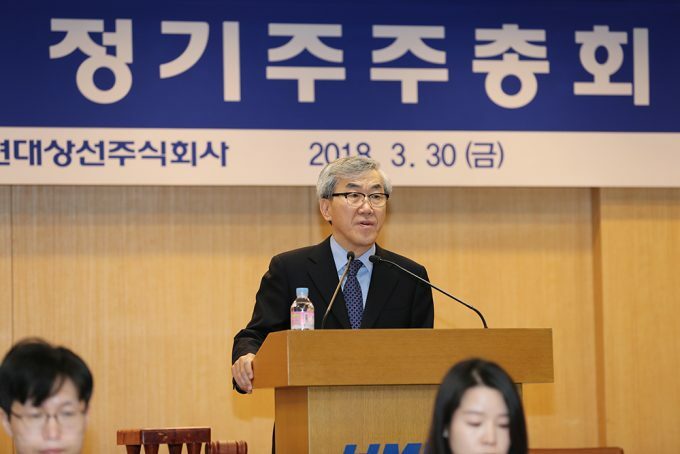 Mr Yoo, who was previously head of Incheon Port Authority, was brought in to manage HMM’s widespread restructuring following financial difficulties. “All employees of HMM – with a sense of great duty and mission as the only national ocean carrier – will give our all to leap forward as one of the top global shipping carriers. “We believe that HMM will gain great cost-competitiveness and strengthen its sales power,” he said. Prior to joining Incheon Port Authority, he had previously worked at HMM, joining it in 1986 and being named head of Europe in 2002. In 2008 he was named president and chief executive of Hyundai Ship Management and then returned to HMM as president in 2012 but left it in 2014 to become president of IPA. He returned to HMM in September 2016.